SPEAK! Canada prepares you for your next opportunity with a clear and concise message, greater focus, energy and confidence ready to Find Your Voice and Take Your Lead. Speak! Canada is a 3-part blended learning program that increases a professional woman’s ability to effectively communicate to any audience - her next sales presentation, a critical client conversation or in front of 100+ peers. 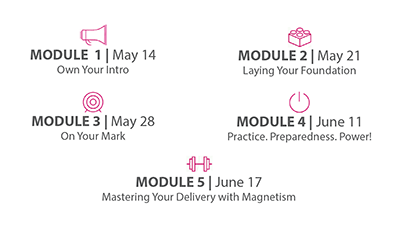 Connect with your cohort, clarify personal and professional goals and explore the proprietary framework to prepare for a deep-dive into the world of SPEAK! Includes instruction, course materials, access to online instruction, meals for in-class instruction and presentation day, and professionally produced 5-minute video. 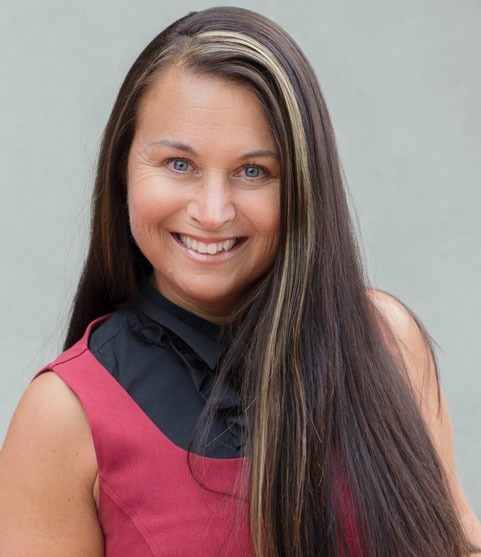 Charlene is a proud Canadian woman of Indigenous descent, social entrepreneur, a publisher & producer, author, speaker, community leader, economic development enthusiast and second-term Councilor for the Town of Gibsons in BC. Charlene is also the Founder and CEO of PowHERhouse Media Group, a vehicle marrying media and manifestation to move women forward, faster. Since October 2015, Charlene has put 100+ women on the stage and connected them with audiences in the thousands, both live and virtual. She is thrilled to instruct the Speak! Canada program and cannot wait to get to know you! Edwards School of Business is proud to partner with powHerhouse MEDIA GROUP to provide this program.